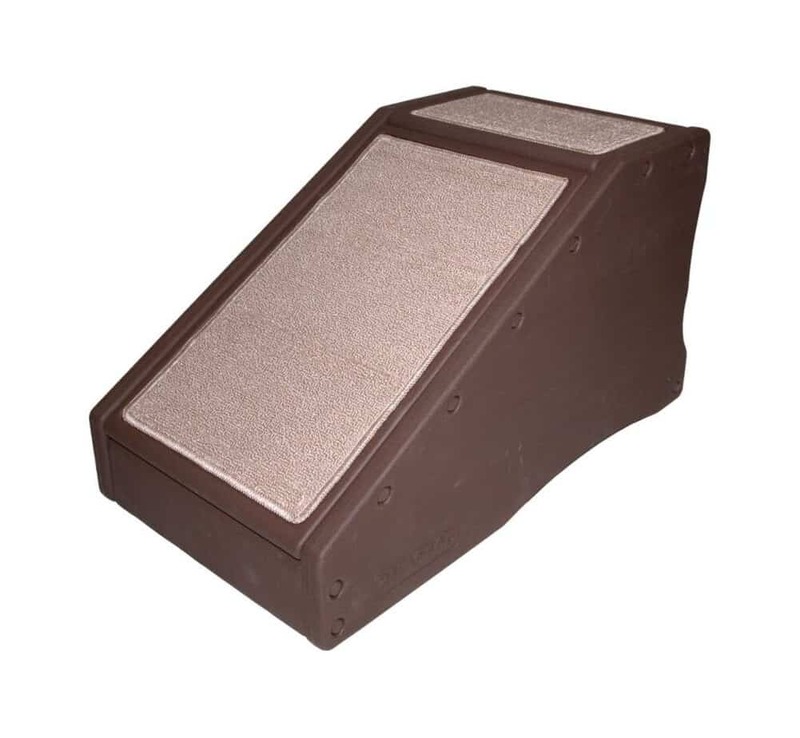 Have you ever considered getting pet steps for your dog? If not, maybe you should. 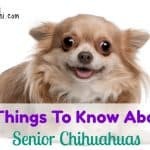 Can you imagine being the size of a Chihuahua but having to navigate furniture that we humans use? Some of our little guys do a fairly good job of jumping up and down off the couch and bed but others are either too small, too old or have physical problems that make jumping up and down impossible. Even if they are capable of doing it, it’s not always safe. The last time Kilo tried to jump down off the couch a few years ago, she hurt her leg doing so. After that, she never tried again (thank God). 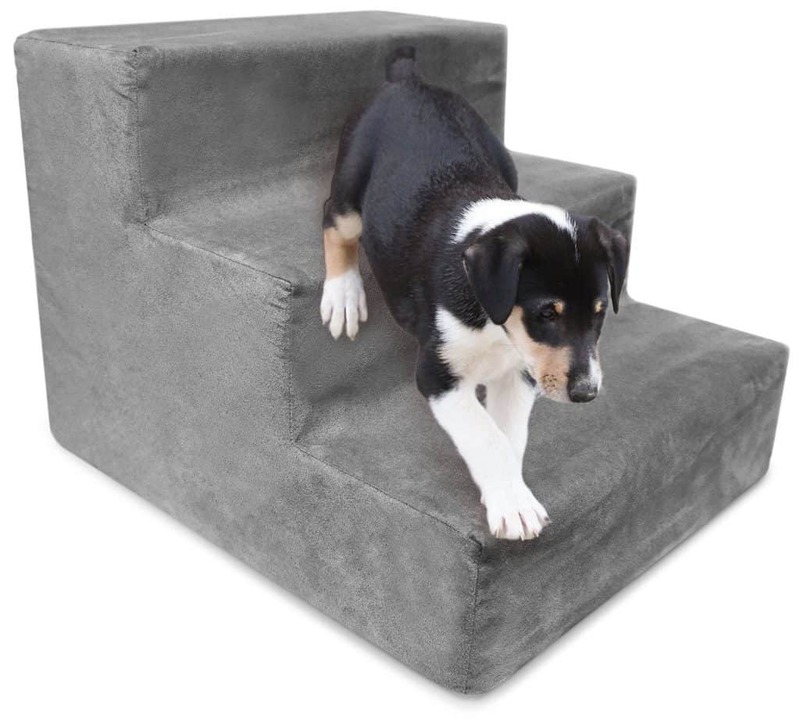 If you have a small dog (or even a big dog) that needs help getting on and off of furniture, getting them their own set of steps or a ramp is a great idea. This is Amazon’s top seller and I can see why. I love that it folds up and stores easily under the bed or couch. 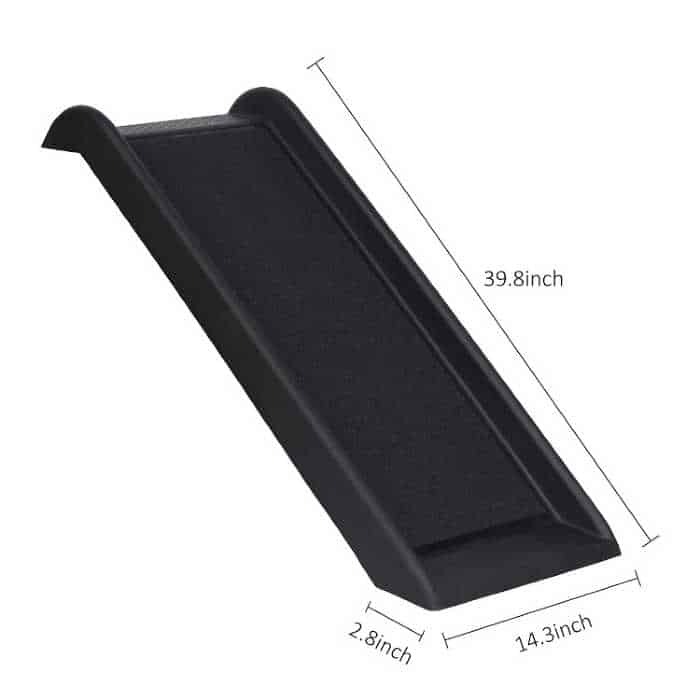 The only assembly it needs is to add the carpeted panels and that is easily done by peeling the sticker backing off the carpet panels and sticking them on the step. Be sure to check out this review on Amazon where the buyer shows a video of her dogs using the stairs to get up on the bed. 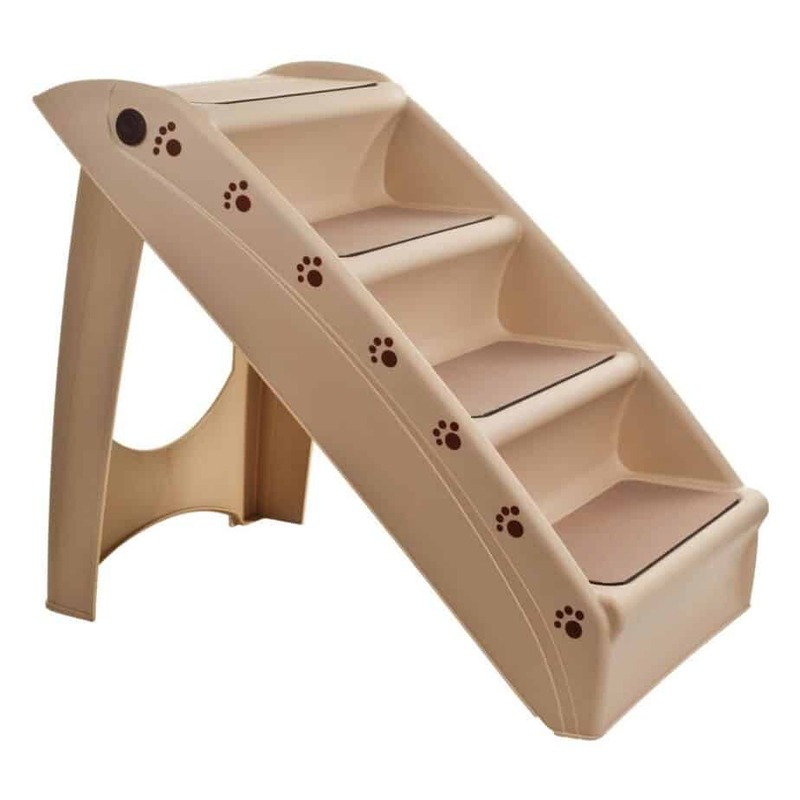 You can buy it here: Pup Step Plus Stairs. 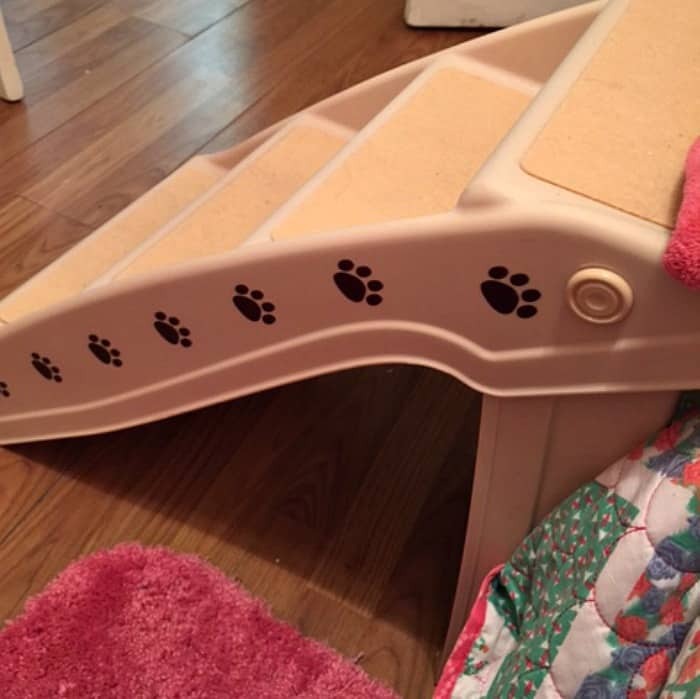 These stairs are wide so your dog can get their entire body up on each step. 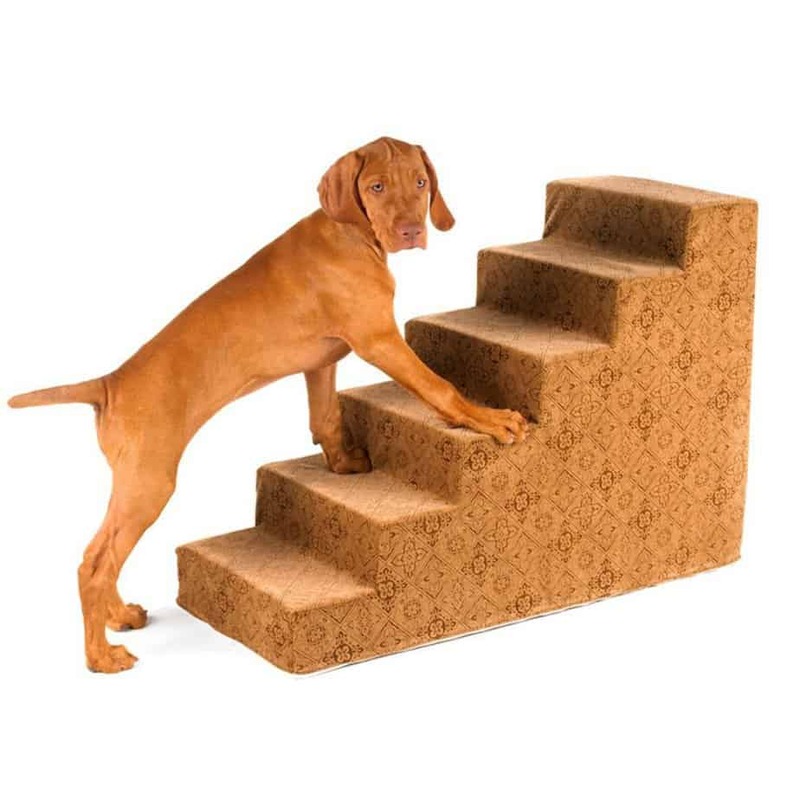 This helps older arthritic dogs to maneuver the steps easier. I like these steps because they are good looking and do look like furniture. Buyers said that the stairs were sturdy and didn’t move around. The main drawback is some people said that though they worked perfectly for the couch, they were not tall enough for many beds. You can check out one of the buyer’s video of the steps here. 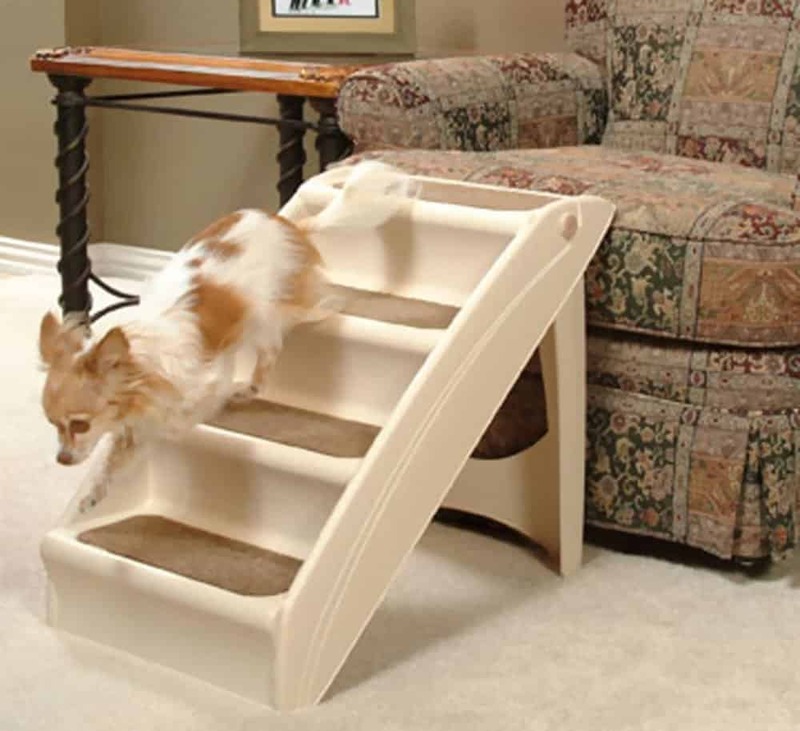 For more info or to buy, click here: Pet Gear Easy Step II Pet Stairs. I love the design of these stairs. They come in several color options and 5 sizes. These stairs got very good reviews. You can find them here. 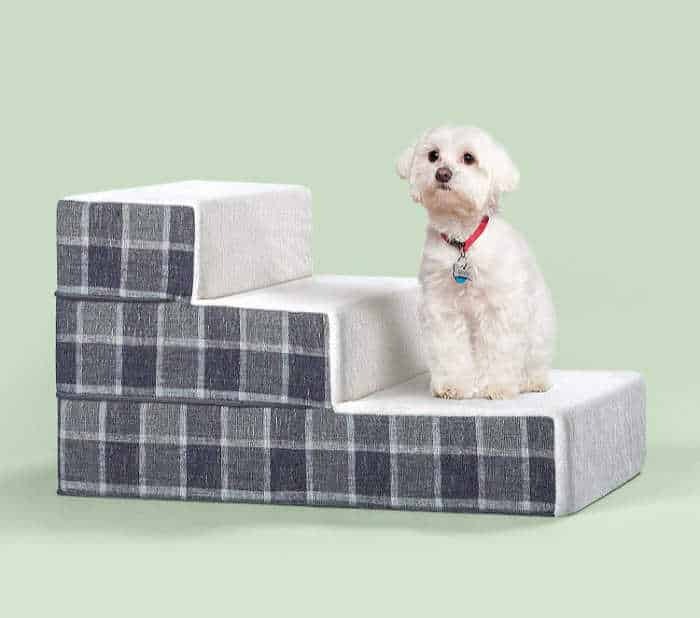 Now if you have a tall bed, these steps might be just right for your dog. You can get them in 4 or 6 steps and your choice of 9 color covers to match your decor. The covers are zippered and can be washed. 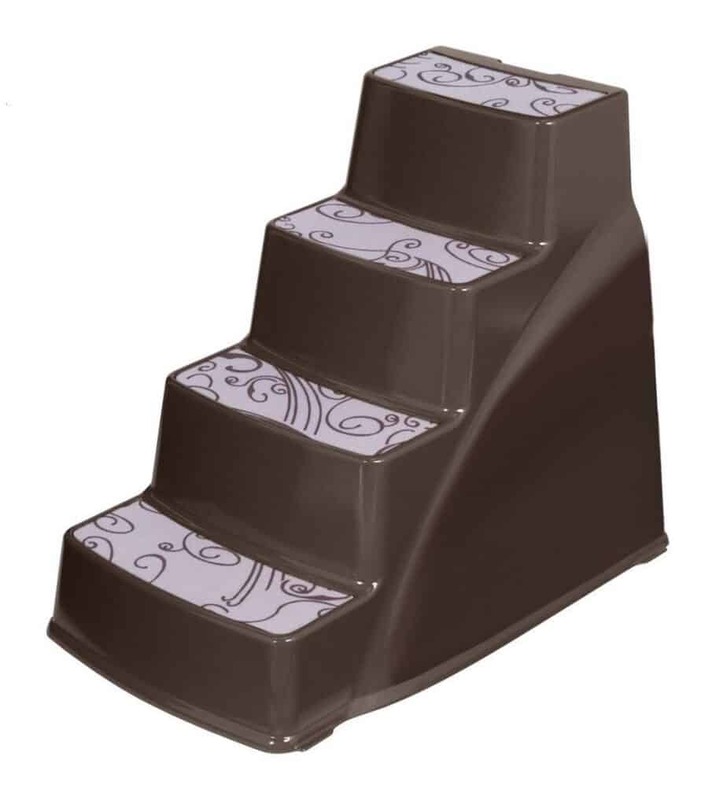 These steps got great reviews with some people buying multiples of them. 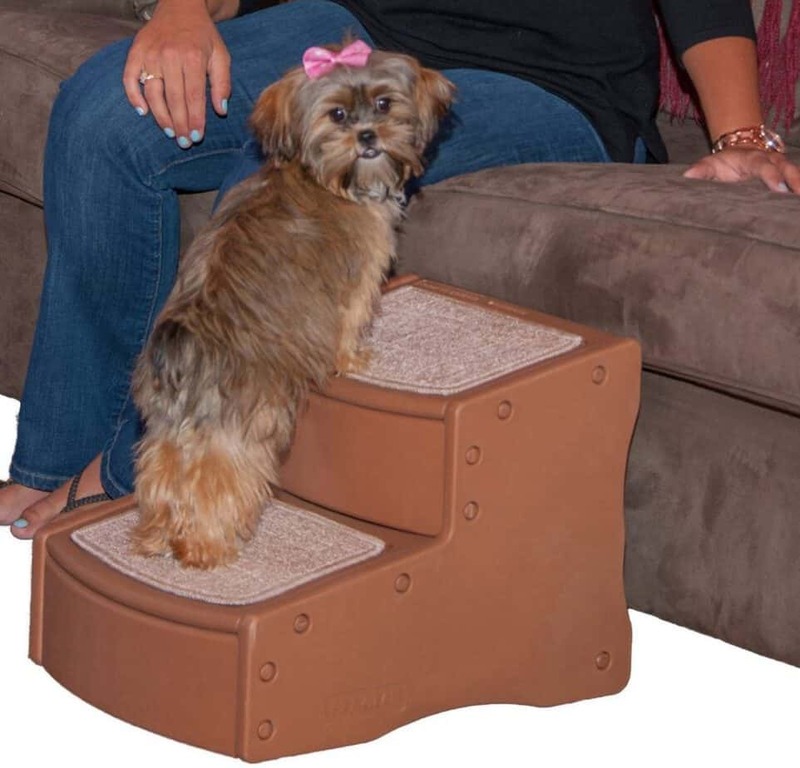 You can check them out here: Designer Pet Steps. 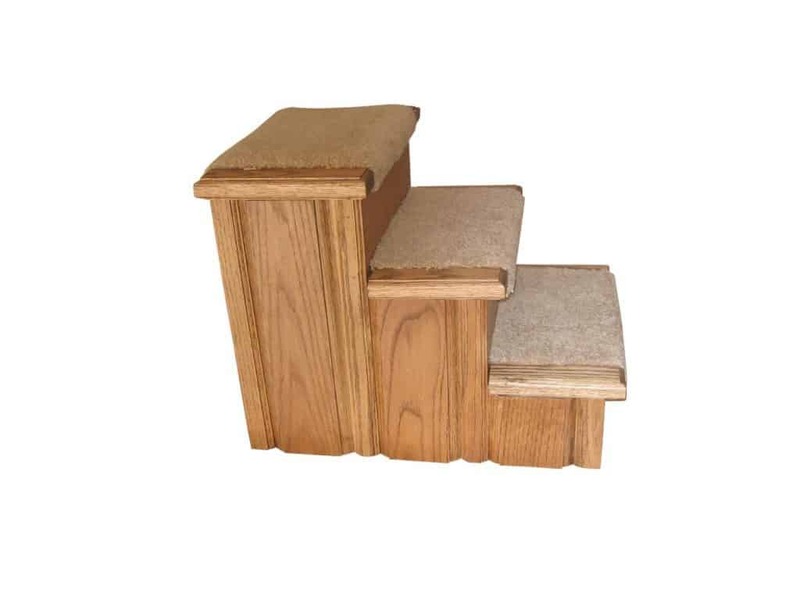 Buyers love the quality of these steps and they said these are great for little dogs. The zippered cover is washable. 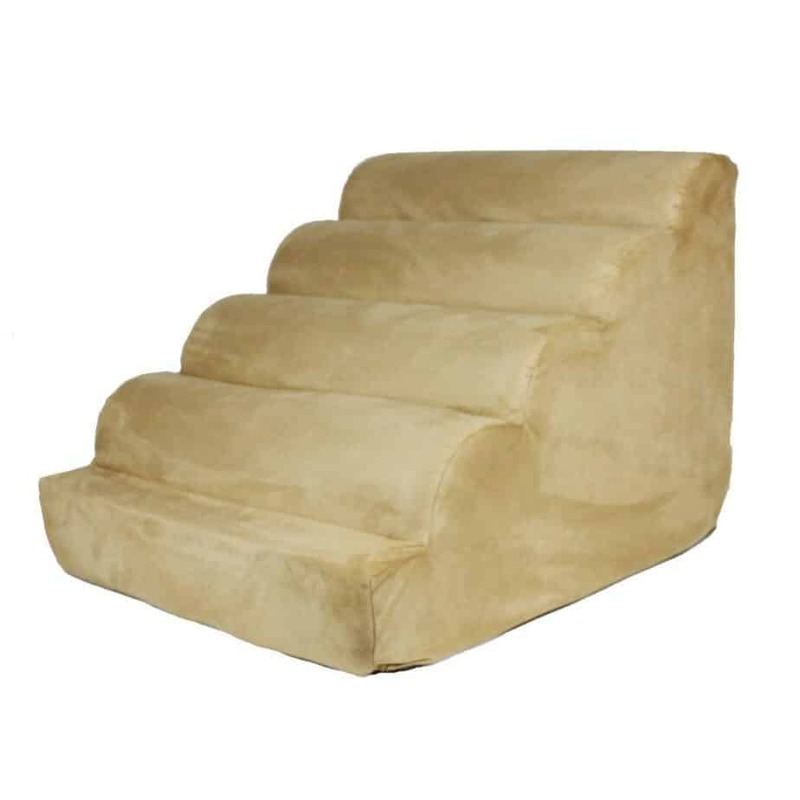 The steps are comfortable and sturdy and they don’t take up much space. 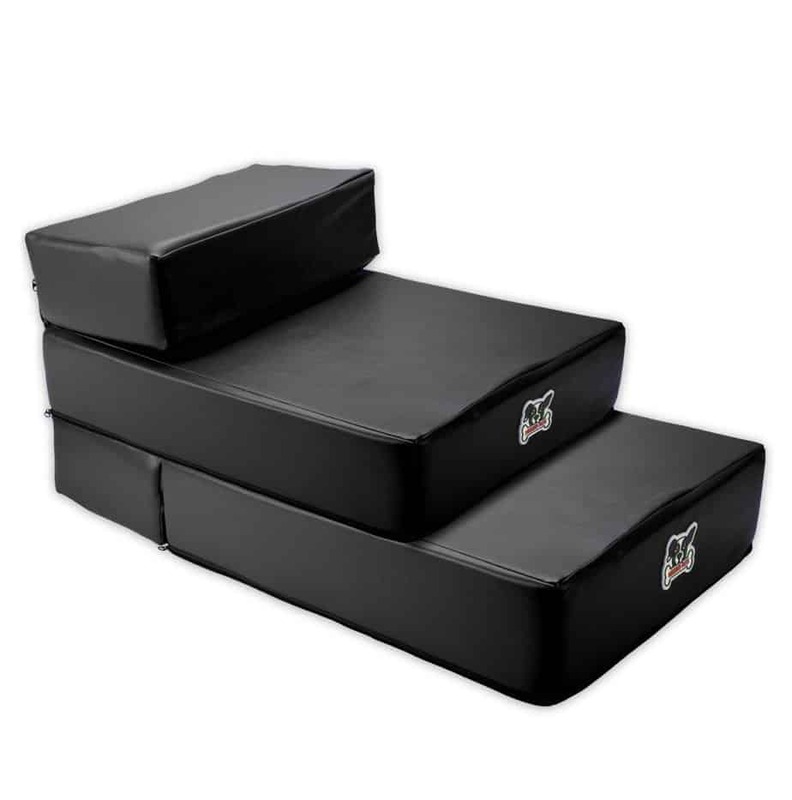 You can check them out here: RESTOLOGY High Density Foam 3 Steps Orthopedic Microsuede Bedding. These steps got rave reviews for how beautiful and well made they are. They are so strong that they support weight up to 300 pounds. The carpet on the stairs is stain resistant too. 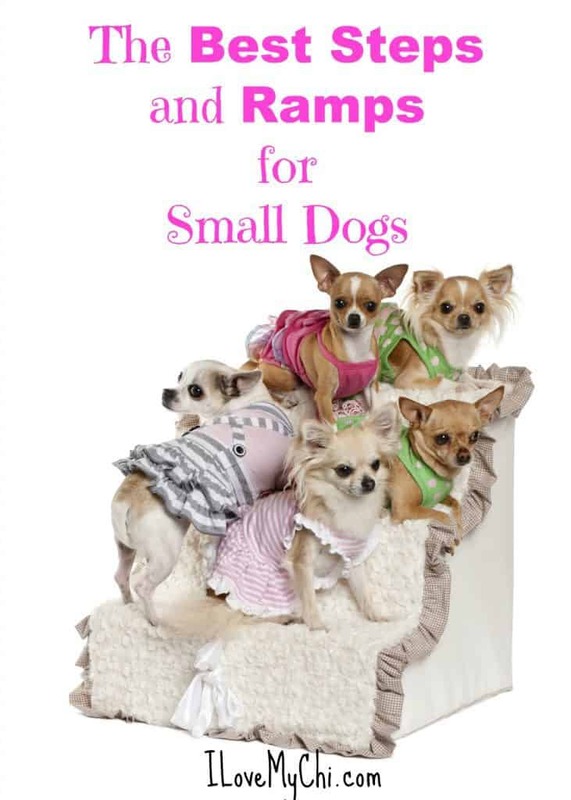 Read more about them here: Premier Pet Steps Tall Raised Panel Dog Steps. This ramp works well for lower furniture. It also works for getting in and out of most vehicles. One reviewer mentioned it’s easy to take from room to room as needed. 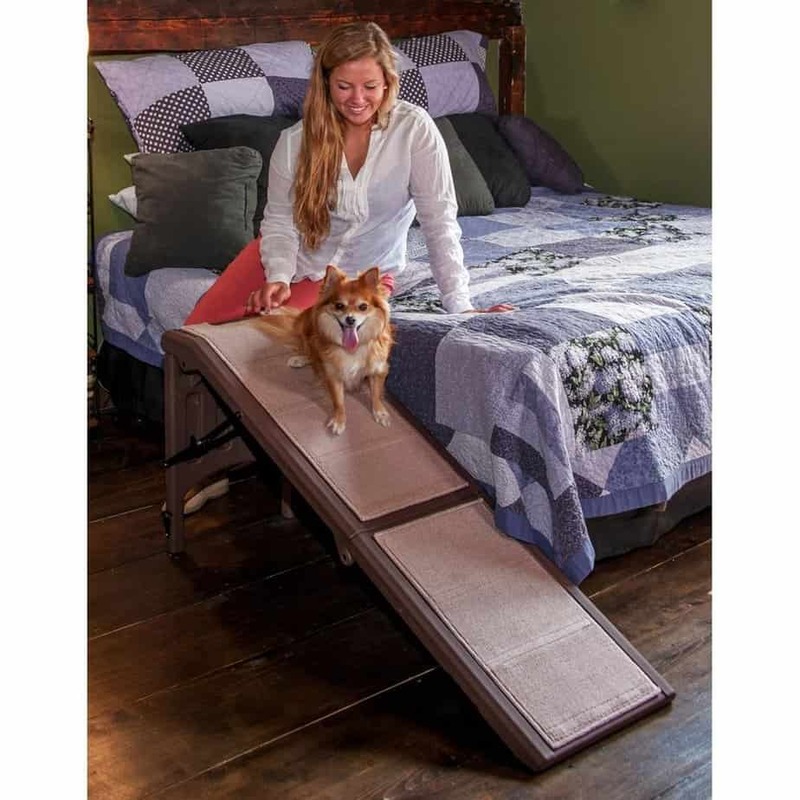 You can check it out further here: Atoz Create Safety Half Pet Ramp. What is so cool about these steps is that they are L shaped and they can be turned either left or right. Buyers loved these steps and said they were very well made. They have rubber grippers on the bottom so they won’t move around. There is also a storage area in the back of them. 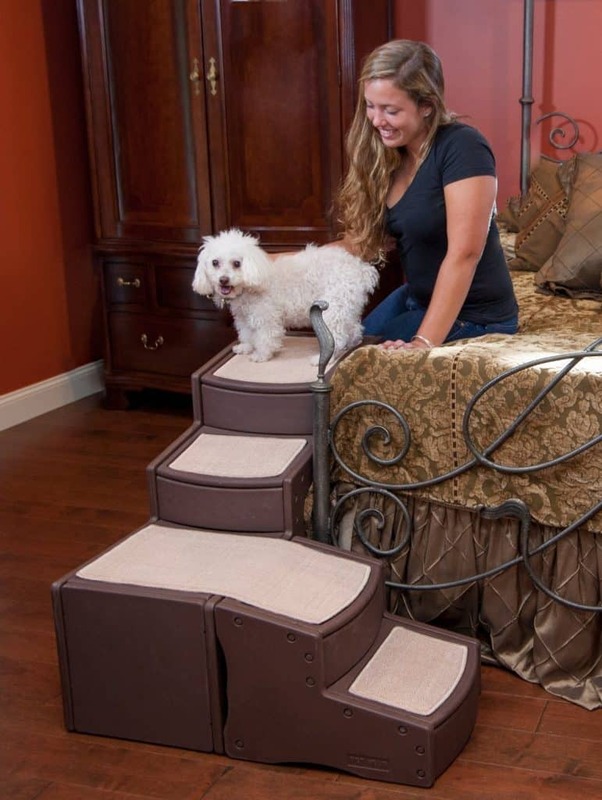 You can get them here: Pet Gear Easy Step Bed Stair. Maybe your dog would do better with a ramp. There are a few options for those too. 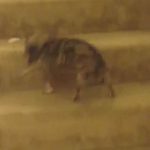 One of the issues some people have when introducing a ramp or stairs is that their dog is afraid to use it. My recommendation is to use treats to coax them up and down until they get used to it. Aimee over at Irresistible Pets has a great article on how to train your dog to use them. You can get to that here. And if you’d rather build your own ramp, she has a link to an article on how to do that at the bottom of the post so be sure to check that out. Hope you find a great ramp or steps! If you have a recommendation of one that isn’t on here, leave a comment and let us know. Or any warning against some that aren’t up to snuff, let us know that too. So you would recommend those steps Jessica? They really are cute. 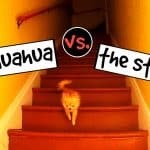 I use a set like the one called Homdox Travel Pet Stairs in your story, but they say Doggy Steps on the tag. 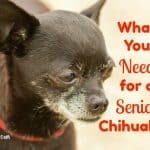 My 9-year old chi Kissy uses them all the time to go up on the couch, but doesn’t always use them getting back down off the couch. She has had a few leg problems over the last 4-5 months, so I wish she would use them getting down every time! I try to praise her whenever she uses them getting down to encourage her to use them. I had two sets of them, but one set got broken. I kept the cover though, so I can replace the cover to launder one and she can still use the steps. I just wish they weren’t both white! They are lightweight enough that when I travel I can just toss them in the back of my car and take them along. They work perfectly for my couch, but most likely wouldn’t work in front of a bed since they aren’t very tall. I also have a ramp I use at my back door that I had built specifically for my dogs. I had a storm door with a doggy door installed last summer. I wasn’t even thinking at the time, but if my dogs had used the doggy door as it was they’d have had a 1 foot drop going out the door onto a concrete sidewalk. So I had the man who installed my new storm door build a small ramp that works perfectly for both of my dogs to be able to use the doggy door going both in and out. That cat even uses it to go outside on occasion! My daughter had one like the one you show with the little footprints on the side, but her Yorkie absolutely refused to use it. She recently moved, and most likely got rid of it when she did since he wouldn’t use it. I had no idea there were so many different types of doggy steps available! I tried to post pictures of both my steps and the ramp, but I can’t get them to paste here. I attached a picture of the ramp below where it says “select an image for your comment”, and hopefully it will come through at least! Yep I see the ramp. I really like that! First and foremost, this is probably the MOST adorable post that I have stumbled across. I thoroughly enjoyed your review and love how you included numerous Pet Gear products. 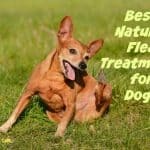 In my experience, the best pet steps for my dogs is from Pet Studio. I am not sure if you have stumbled across their products but I think their steps are amazing!! Anywho, thank you so much for the information!!!!! I don’t think I have heard of Pet Studio Greg. I’ll check them out.